GDC is honored to curate the work of burgeoning choreographers annually through its GDC Curated presentation platform. The new GDC Curated: Residency will expand the program to provide past GDC Curated performance artists with space and support for new creations. 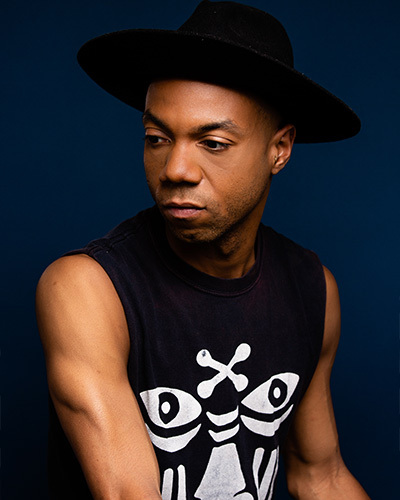 The inaugural GDC Curated: Residency will support Shamel Pitts in the development of a new work in collaboration with composer and immersive artist Ricardo Romaneiro. Through a grant by Chashama’s Space to Create program, Pitts will receive three weeks of free studio space at The Vinegar Factory on the Upper East Side in February 2019. Pitts will also receive a $5000 stipend, and Gibney operational support. 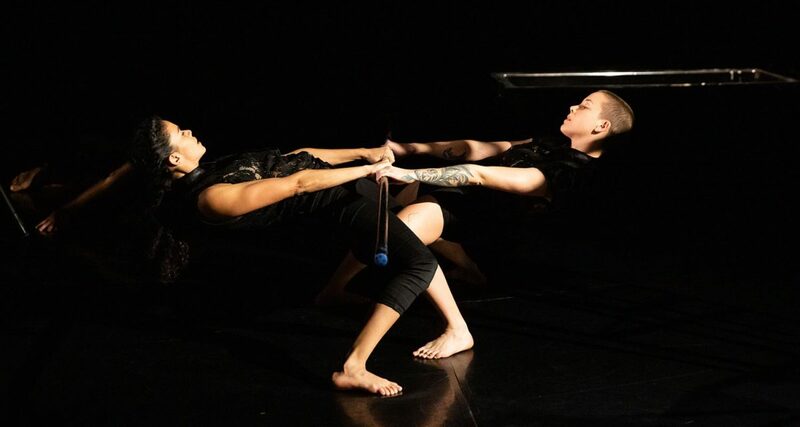 Pitts will share an excerpt of this new work for an intimate audience at The Vinegar Factory on February 19, 2019. 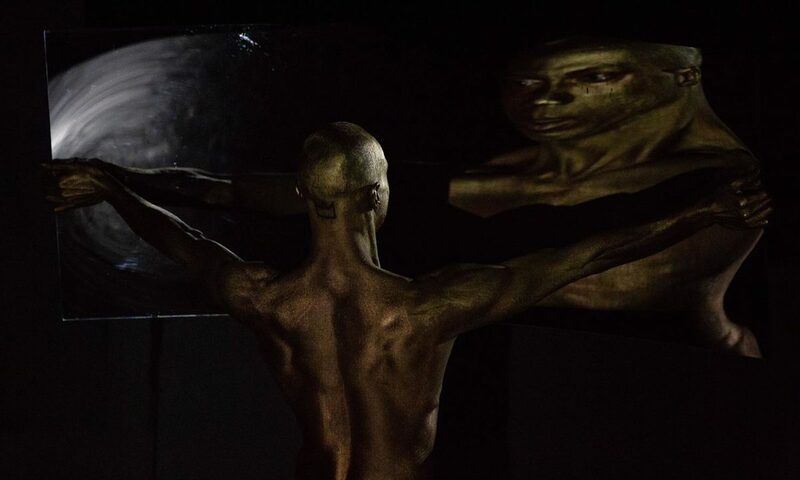 The evening will also include a display of project materials from Pitts’ past works, and a discussion of upcoming projects and performances including his upcoming performances of BLACK VELVET: Architectures and Archetypes at BAM Fisher May 9-12, 2019. This residency program is the latest facet of GDC’s evolving model of ‘artists supporting artists.’ GDC thrives on building partnerships: commissioning emerging and experienced choreographers to create new work on the Company for its annual seasons at 280 Broadway; giving performance opportunities to artists deserving of greater visibility through the GDC Curated Performance platform; offering teaching residencies and socially-minded engagements with the larger community; and now extending additional creative support through the GDC Curated: Residency. The company aims to develop expansive programming that will provide holistic, long-term support to dance artists in the studio, on stage, and beyond. Chashama transforms dormant real estate for artists to create and present their work, and offers free art classes in underserved communities. Chashama was founded in 1995 by Anita Durst to celebrate the legacy of theatre visionary Reza Abdoh. Chashama’s initial focus was on the production and presentation of new theatre. Recognizing that a lack of affordable space was the biggest threat to sustaining a diverse cultural environment in New York City, Chashama began to work toward securing studio and presentation space in Midtown Manhattan for struggling artists by partnering with property owners who provided unused space to Chashama. In the first decade Chashama secured seven locations on 42nd street between 6th and Broadway, presenting over 700 shows. Since then Chashama has moved from midtown Manhattan to the 5 boroughs and beyond, giving artists work and presentation spaces, as well as providing free art workshops in underserved communities. Currently, Chashama presents 150 events a year, has workspace for 120 artists, and has developed 80 workshops.To learn more, visit www.chashama.org.